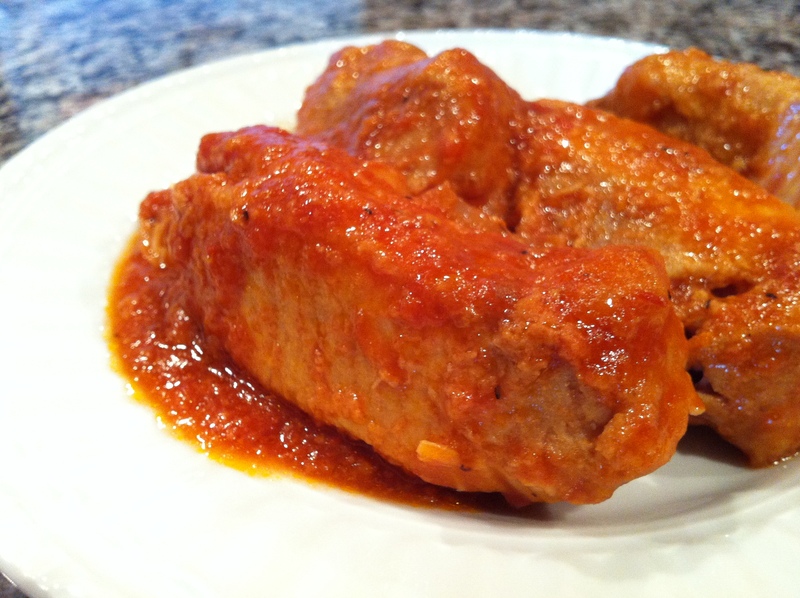 My mother, probably your Nonna, or maybe your neighbor “Teresa,” or perhaps even your spouse’s favorite Zia have made the classic Italian sauce where pork happily swims around for hours, absorbing and releasing flavors, to the point each morsel of meat is tender beyond words and a knife is unnecessary. This has always been and still is one of my favorites, but I’ve stepped away from the tradition of the stove-top method, where I myself have had to run like crazy to “stir the sauce” every half hour or so. 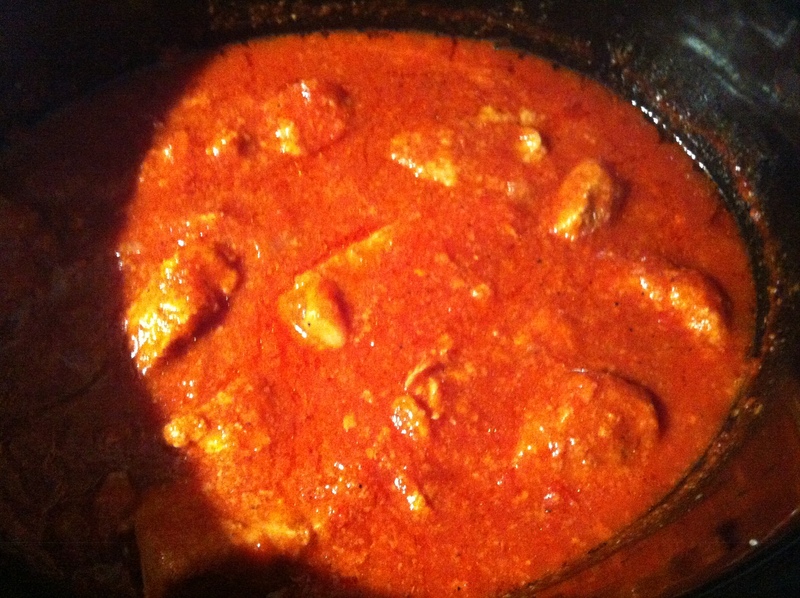 Ssshh…don’t tell my Mom, but here is my easy crock pot recipe (she cringes every time I mention it…I’m not sure why). If you are in the market for an inexpensive and powerful slow cooker, check out Bella. 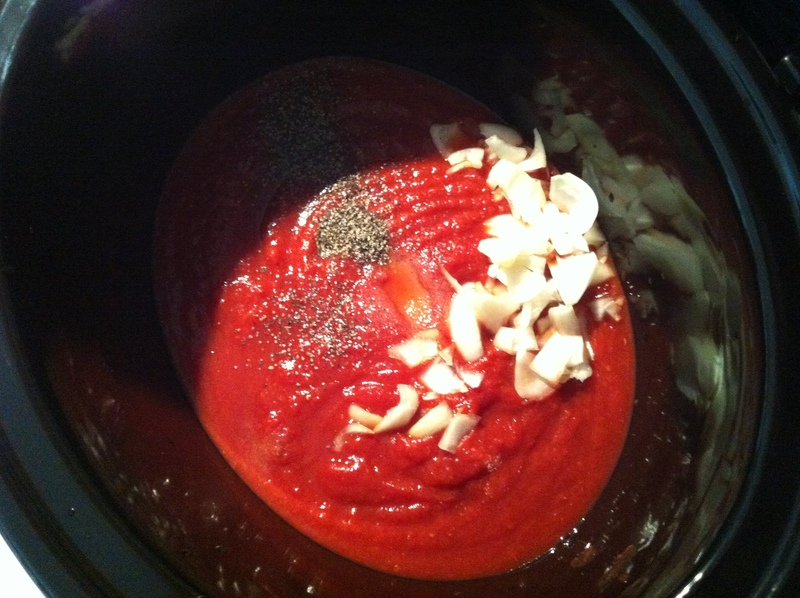 In a crock pot or slow cooker, add the crushed tomatoes, onions, salt, sugar, and pepper and mix. 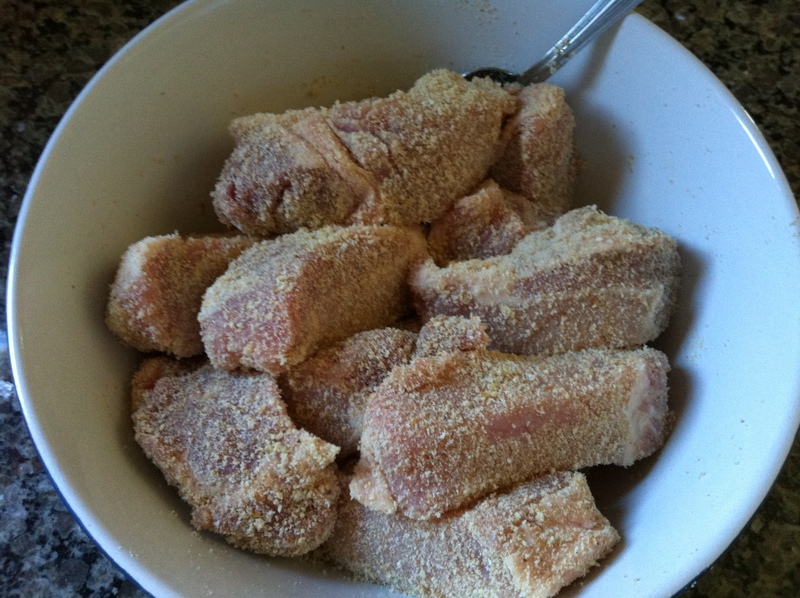 In a medium bowl, sprinkle the spareribs with meat tenderizer and mix to coat. Add the bread crumbs and stir until each piece is covered. 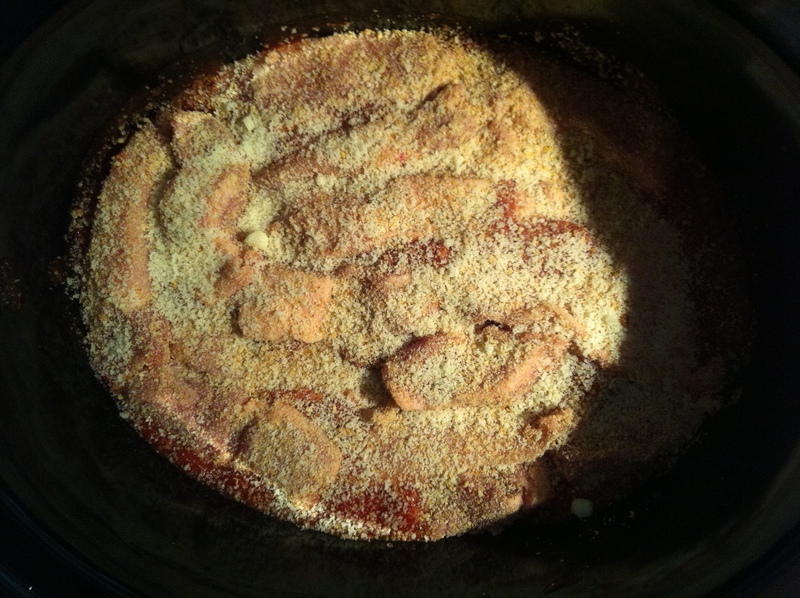 Layer the ribs into the sauce mixture in the slow cooker, and sprinkle any remaining bread crumbs over top the pieces. Cook on low for 4 hours. When it’s time to eat, boil your favorite pasta and use the sauce! Follow the pasta with the ribs and a side salad, along with some bread, and you’ll have a hearty, warm family meal, perfect for these incredibly cold winter nights when the best distraction from the frigid temperatures is spending time with one another around the dinner table. Buon Apetito! Prev Post: Thank you. Thank yourself. Thank each day & every night. Damn, that looks awesome Carlo. Thanks for the recipe. Ciao for now, buddy. Thanks, man! Working on some super special Italian cooking footage that you guys are going to love – it’s Fuda in action! Had a chance to learn and eat some very unique recipes on my trip…including a sweet and savory appetizer/dessert from Sardegna! That’s going to be awesome. Very jealous watching you on your trip! Can’t wait to see what you have planned. Just throwing this out there, Fuda and OmNom kick Italy wicked 2015? Piemonte is my 2nd home, so we got that covered – our taste buds will thank us. Hello friend! Yes, back from Italy and lots to share in the coming weeks, months, and this year! Hope your new year is off to a great start! It’s been crazy busy since being back; now if I could only figure out how to squeeze more hours into a 24 hour day! Stay tuned for my debut single coming out on Valentine’s Day!